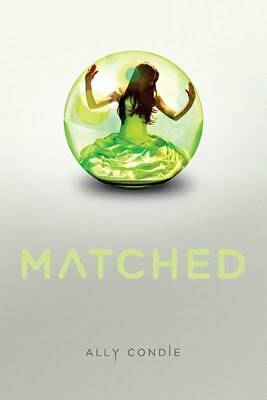 “On her seventeenth birthday, Cassia meets her match. Society dictates he is her perfect partner for life. Except he’s not. OK, so I have to admit that the cover of this book put me off at first. Despite what seemed like a cliche, girly teen novel, the fast-paced storytelling and well-crafted tension turns this dystopian love story into a real page-turner. I got attached to the characters and the writing style doesn’t bog you down with wordy details. Condie has constructed a captivating story that is both entertaining and wise. Matched is a story about love as well as the importance of choice and individuality. Stay tuned, because it looks like there are two great books yet to follow. Recommended for readers (both girls and guys) ages 12 and up. 4 stars.